On February 5, 2014, CVS made a big move by deciding to stop selling tobacco products as soon as October 1, 2014. The main product that everyone is fussing about is cigarettes. Being a large chain of retail stores, CVS is taking away the supply of cigarettes for many individuals. For some smokers, this means that it is time to find a new source for cigarettes. For other smokers, it means that it is time to quit. By taking away cigarettes, CVS is encouraging Americans to end their addictions to smoking. More than 480,000 deaths in America are caused by smoking every year. The reduced amount of cigarettes being sold could lead to a great decrease in the amount of smokers. 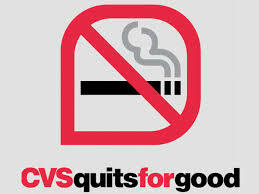 By making this big move, CVS is also encouraging other retailers to stop selling tobacco products to help save lives. Little by little, if retailers stopped selling cigarettes, smoking-related deaths would decrease, permanently. Recently, there have been advertisements suggesting that other drugstore chains should follow suit. None have announced any changes in their sales yet besides CVS, but this is sure to affect the sales of cigarettes greatly. This step forward could not only encourage other retailers from selling tobacco products, but also discourage smokers from smoking. Smoking can cause many serious illnesses and can increase a person’s chance of getting many other diseases. One main illness a person can get by smoking is lung cancer. Smoking can cause lung cancer because the tobacco in the cigarette contains more than 70 different chemicals that can cause cancer. When the chemicals enter your body, they can damage your DNA and prevent your cells from being able to control the amount of times they multiply. Smoking can also be a big harm to pregnant women. Smoking can cause the baby to be born unhealthy or sadly, not be born at all. Smoking can harm almost every single part of your body, each in different ways. By quitting smoking, you could save yourself from the pain of damaging your body before it is too late. Although smoking is rather unhealthy for you, there has been a recent interest in electronic cigarettes. CVS did not have a statement on selling e-cigarettes, and was waiting for the FDA guideline to be released before deciding whether or not to sell such products. As of now, CVS has extended the ban to e-cigarettes. There is no solid proof that e-cigarettes are any healthier, or any worse than normal cigarettes, but they do affect the people around them a lot less. A recent update from the company has revealed that they will no longer be marketing electronic cigarettes. In Boston and San Francisco, there was a 13% decrease in tobacco purchases. Not having a supplier caused people to just stop buying cigarettes instead of finding a new supplier. Besides the benefit of helping smokers quit, CVS had an alternate reason for their decision. CVS’s CEO, Larry Merlo, and Pharmacy President, Helene Foulkes both had parents who died prematurely due to lung cancer, one disease which can be caused by smoking. Foulkes also had received stories of how quitting smoking was so difficult for them. She decided that the company should make it easier for these customers, so less people will have to suffer the consequences. CVS’s decision to stop selling cigarettes was a big decision, but in the end, they were still able to do it. This caused many people to question that if CVS was able to ban cigarettes, why can’t other stores ban them as well? One of CVS’s biggest rivals, Walgreens, released a statement to why it would be useless for them to stop selling cigarettes and tobacco products. According to Walgreens, only 4% of tobacco sales come from retail pharmacies, so it wouldn’t cause a significant decrease in the number of smokers in the USA. Others state that Walgreens has several financial problems and needs the extra money to help keep their branches open. CVS’ decision to ban smoking was certainly an admirable one. With such a recent focus on life threatening diseases like Ebola, people tend to forget that the greatest life risks are caused by the bad habits we do every day. Previous Post 10 Points for Gender Equality!